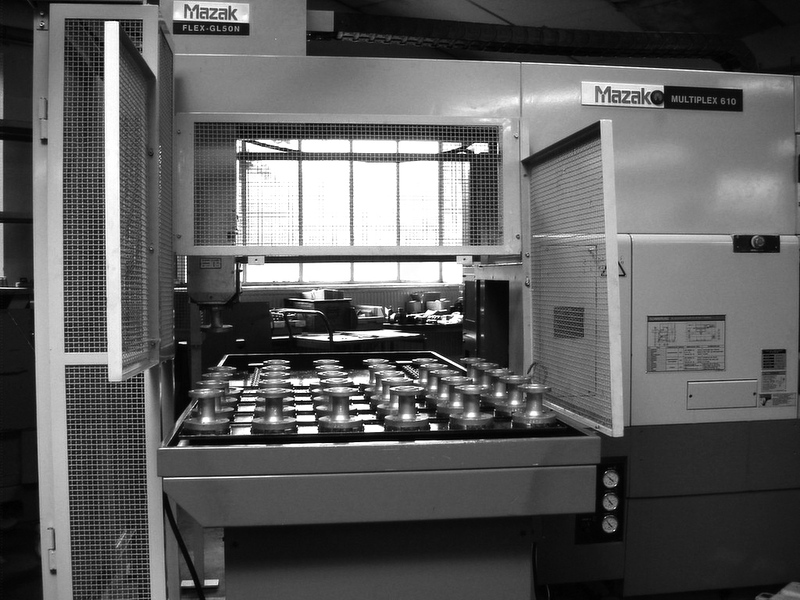 Our production hall is equipped with a range of state-of-the-art machines. This also includes the pick-up and drop-off area for blanks shown here. The resources required for the implementation and improvement of the QM system are defined and made available at regular intervals. 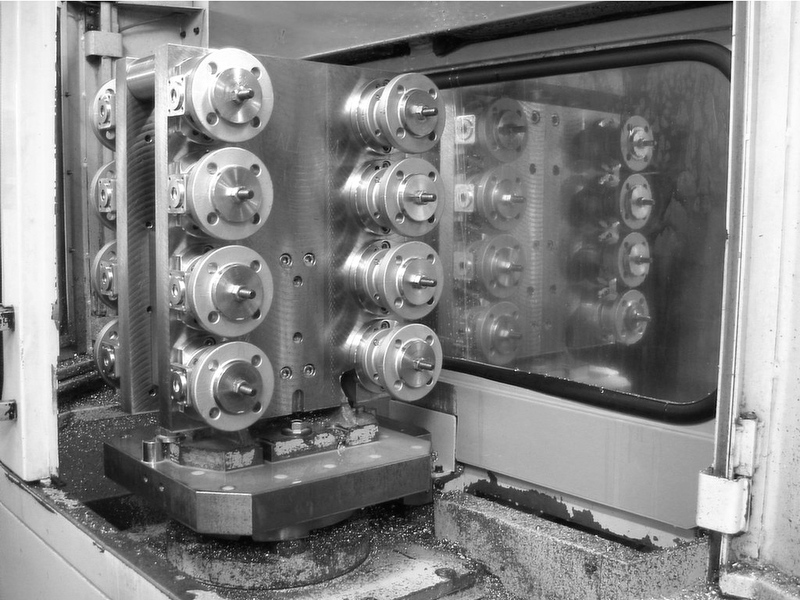 This CNC machining centre with pallet changer is used for dome machining. The continuous monitoring of the production process on the basis of clear test documents includes intermediate and final inspections and also covers the tools and devices. 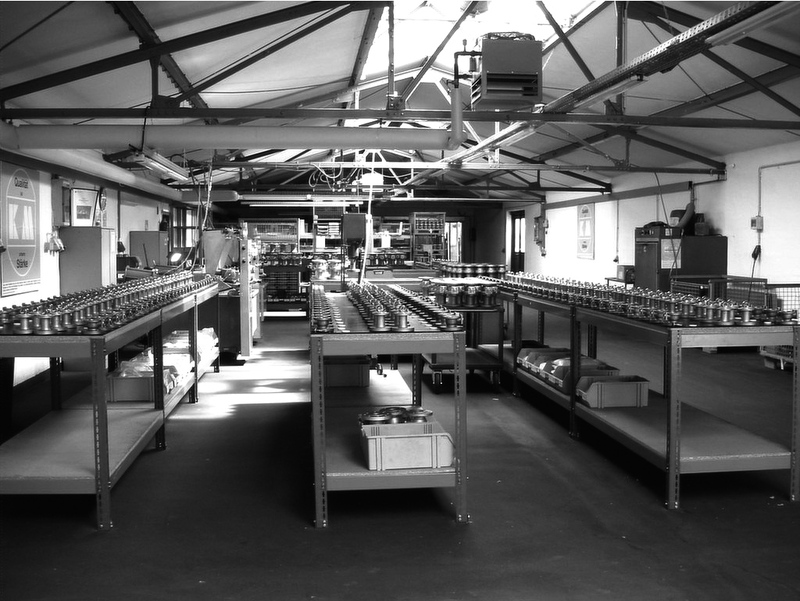 Here you can see the assembly area of our series production. 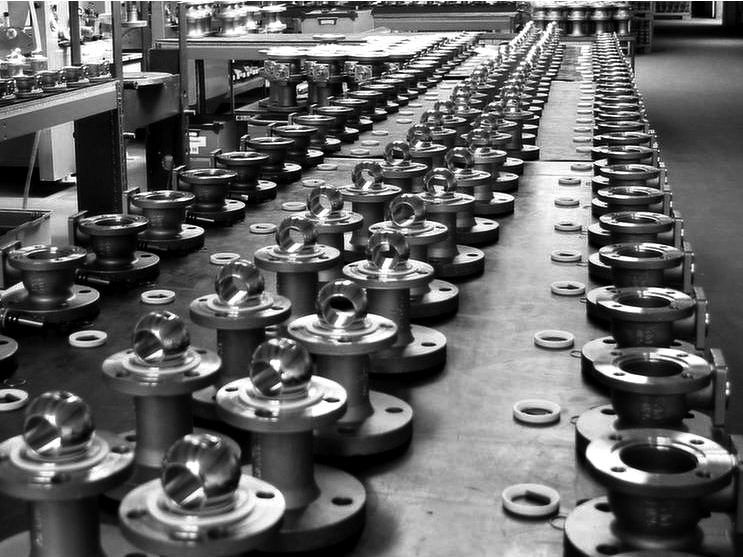 In order to guarantee our high quality standards, all assembly processes are optimised and clearly defined. The work steps and their sequence are carried out by experienced and well-trained personnel. To achieve product conformity, the necessary human and physical factors of the working environment are determined and controlled.